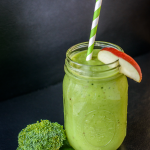 Join The 21 Day Green Up Smoothie Challenge! 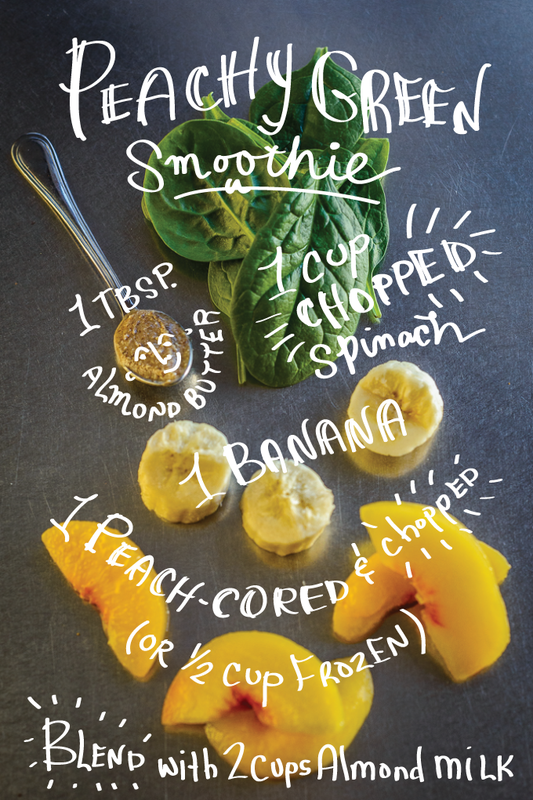 We are adding the green stuff to our smoothies and lovin’ every minute of it! Today is the kick off day, and it’s off to an amazing start with this light and fruity smoothie. 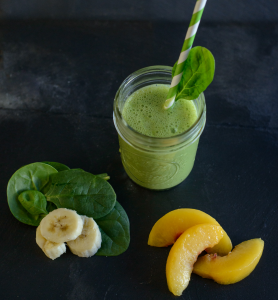 The peaches make this drink a Vitamin C powerhouse! 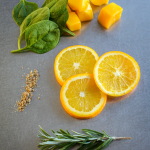 For many of us, winter is a comin’ so our Peachy Green Smoothie will keep us healthy and fighting illness. What green do you typically throw into your drinks? Share in the comments below. PS. Exciting stuff here. Join the #21DayGreenUp Smoothie Challenge and win a Vitamix blender! Get the deets and sign up. It’s fun. It’s free. It’s easy! 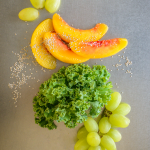 My kids LOVE a smoothie with grapes, pineapple, 1/2 a frozen banana, chia seeds, coconut or flax milk and 2 cups of spinach with ice it’s awesome! The flax milk is a great omega 3 boost. I likey! Your creation sounds amazing. AND a bonus when the kids like it! I loved this smoothie! I added some Food Matters Superfoods Protein powder! Yum!! Looking forward to tomorrow. Yay! My heart is so happy! And great add in…Day 1 down!